Style without compromise is the only way to describe every shoe Duke + Dexter have ever created and the black Earlham boot is no different. 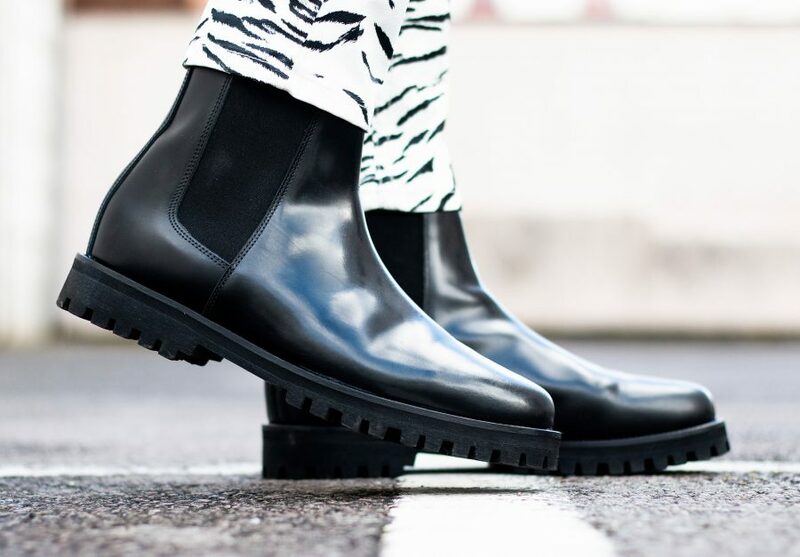 A stylish and rugged update to their extremely popular Chelsea boot, the Earlham boot brings a sense of boldness to any wardrobe. 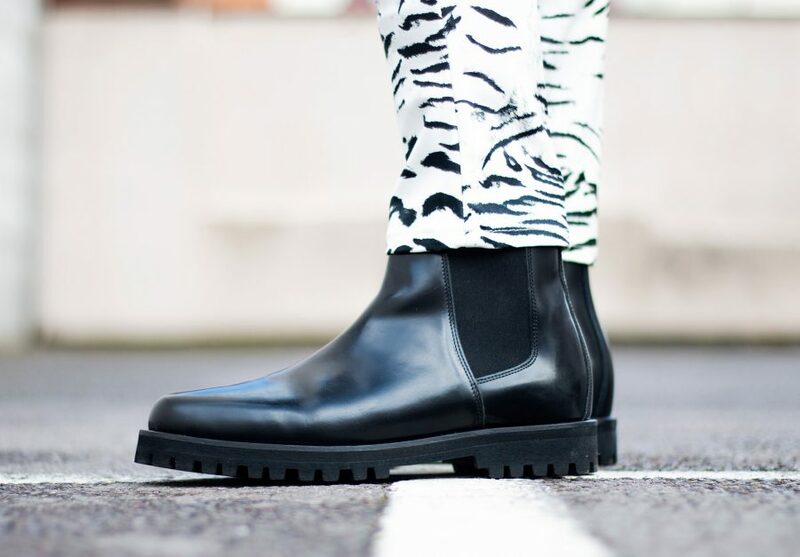 The Duke + Dexter black Earlham boot is the definition of fearless footwear, featuring a thick Vibram sole that promises to be hard wearing, the deep black shade of these boots makes them as menacing as they are adaptable, blending with all of your current outfits. 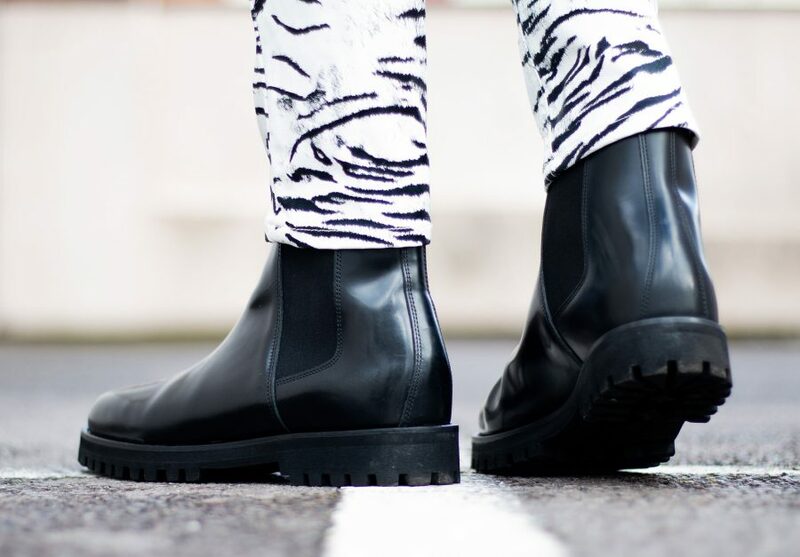 There are no hard and fast rules that are unique to Chelsea boots. 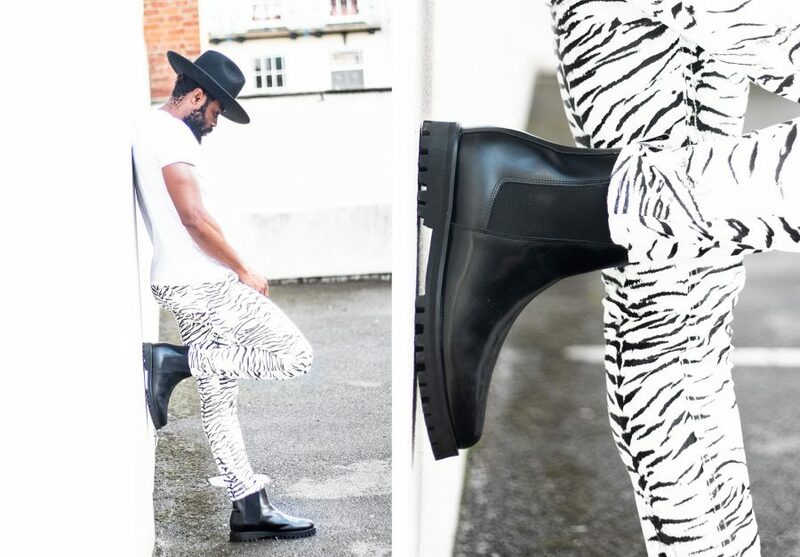 Of course, you want to make sure that your colours don’t clash, so I decided to give these rugged boots the look they deserved by teaming them up with a pair of skinny leather-look zebra print jeans, a white t-shirt and a hat. The main thing to remember is that generally, the leg of your trousers should sit over the top of the boot. But don’t forget, you’ve paid money for those boots, so don’t hide them – your trousers or jeans should sit just over the top. 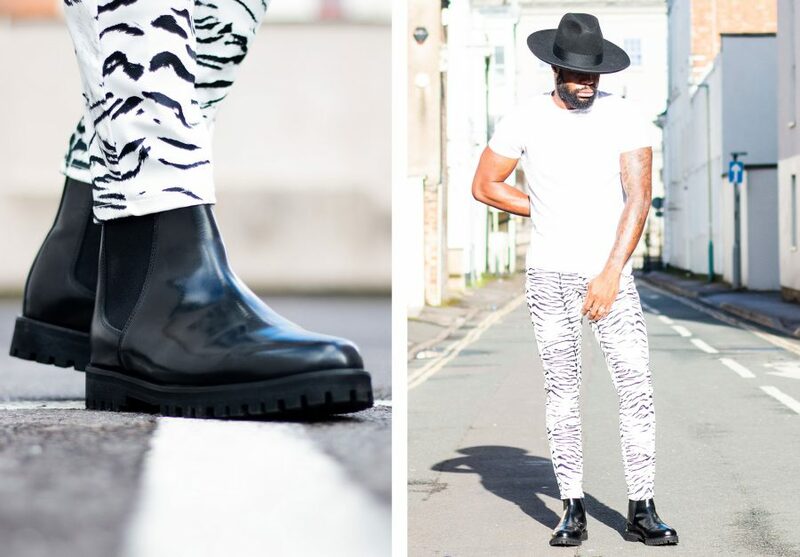 So, if you are in the market for something different when it comes to your Chelsea boots, look no further than the Duke + Dexter black Earlham boot and with only 90 pairs available in the Earlham Boot don’t miss out on the chance to get your hands on limited edition Duke + Dexter’s – once they’re gone, they’re gone! Pick up your pair today.